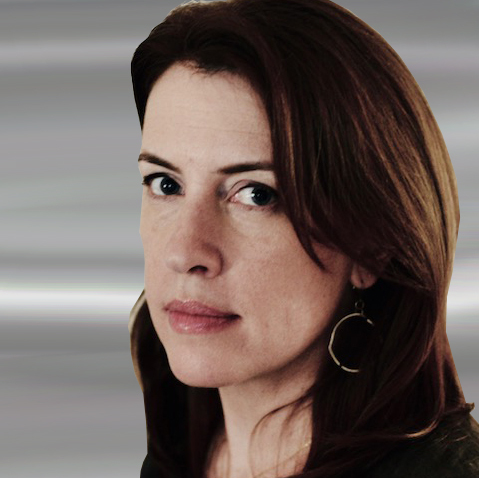 The Washington Post’s Stephanie McCrummen , a lead member of the team that won the 2018 Pulitzer Prize for Investigative Reporting, will deliver the keynote address at the eighth annual 2018 New England First Amendment Institute . The New England First Amendment Coalition offers the three-day institute each year at no cost to 25 New England journalists. The institute is from Sept. 16-18 at Northeastern University in Boston. Applications for fellowships to the institute are due Aug. 1. Application materials can be obtained here . The New England First Amendment Coalition mourns the loss of five staff members at the Capital Gazette community newspaper near Annapolis, Maryland, who were killed by a gunman earlier this month in a senseless act of violence. We convey our utmost sympathies to the newspaper’s staff and to the families and friends of the victims. The New England First Amendment Coalition , the ACLU of Rhode Island and several media organizations recently submitted an amicus brief in support of a federal lawsuit filed by the Providence Journal. Perhaps it comes as no surprise that prosecutors in President Donald Trump’s Justice Department secretly seized years’ worth of a New York Times reporters’ phone and email records as part of a leak investigation. The New England First Amendment Coalition recently reaffirmed its support for legislation that would strengthen accountability and oversight of privately-managed prisons throughout the country. 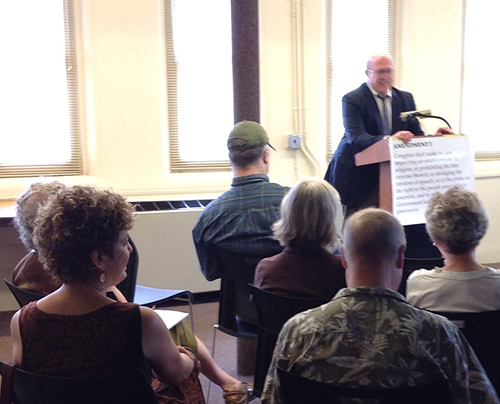 The New England First Amendment Coalition presented a discussion on the First Amendment earlier this month at the Greenfield Public Library in Greenfield, Mass. The program featured Buz Eisenberg, an attorney and First Amendment expert. A Professor Emeritus of Greenfield Community College, Eisenberg has taught Constitutional Law and Civil Liberties. ﻿His appearance was part of NEFAC's Featured Speaker Program . The program was launched in January and is an educational initiative bringing First Amendment and journalism experts to the region's college campuses, high school classrooms and local community centers. On June 27, the U.S. Supreme Court announced its 5-4 decision in Janus v. AFSCME .